An international planetary defense mission involving NASA and ESA will now include two CubeSats. APEX (Asteroid Prospection Explorer) and Juventas will ride with ESA’s Hera spacecraft, which is set to arrive at the Didymos binary asteroid system shortly after NASA’s DART (Double Asteroid Redirect Test) spacecraft has impacted the smaller of the two objects, Didymoon. 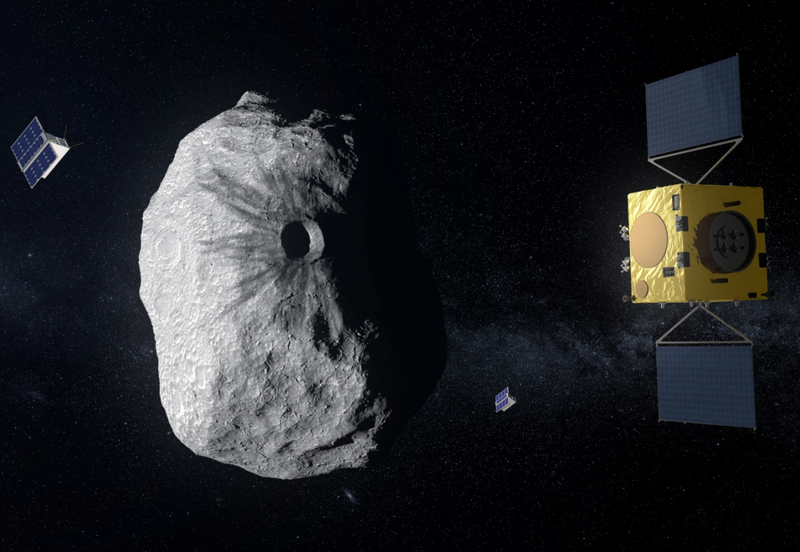 Hera will arrive to take observations of the DART aftermath as part of the international Asteroid Impact Deflection Assessment (AIDA) experiment.